Bamboo stationery set packed in PVC pencil case with zipper. 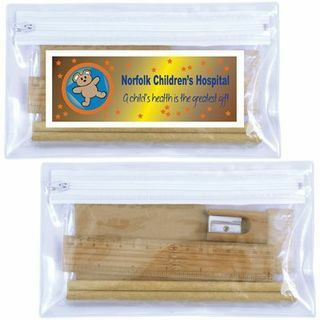 Includes 20 sheet notepad, bamboo pencil sharpener, wooden timber pencils, eraser and bamboo ruler. Eco friendly bamboo is plantation grown, no chemicals or fertiliser used in growing.